During a recent training, we developed sample lesson plans in small groups, aligning a topic and grade level of our choice with state english language arts and math standards. 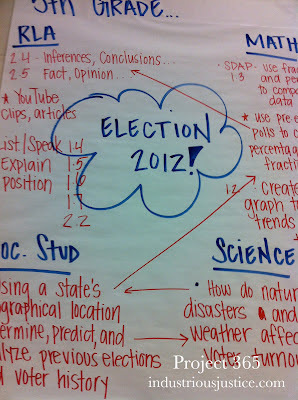 My group decided to go above and beyond and also aligned our "Election 2012" lesson with social studies and science standards. 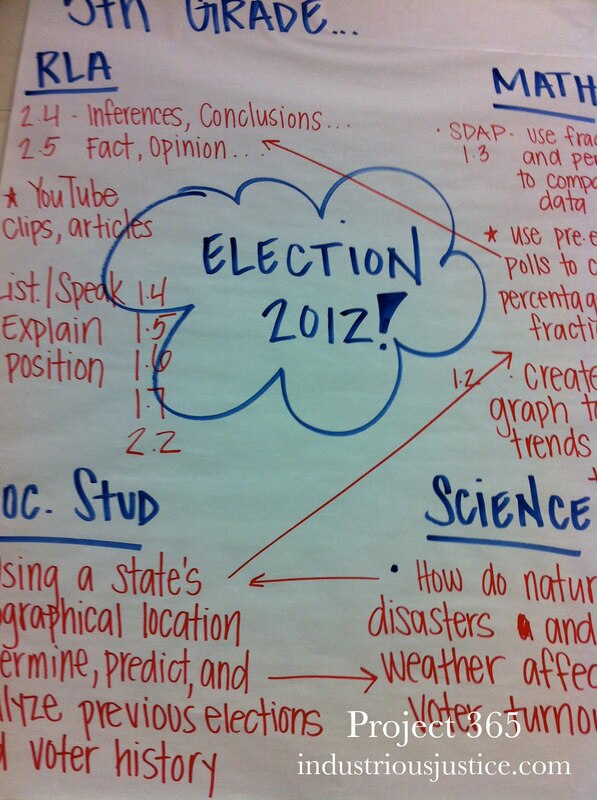 My favorite was science -- how do natural disasters and weather affect voter turnout?